ilok cloud has been around for a while. It’s great. Even though I have 4 ilok dongles, I won’t use any plugins that require them. I’ve never had issues with ilok cloud though. And I just bought an ilok dongle like two weeks ago so I could use Slate Trigger lol. Oh don’t worry!! You’ll be using it for plenty of other stuff! Why are you so opposed to using a dongle? My girlfriend has been avoiding my dongle recently. 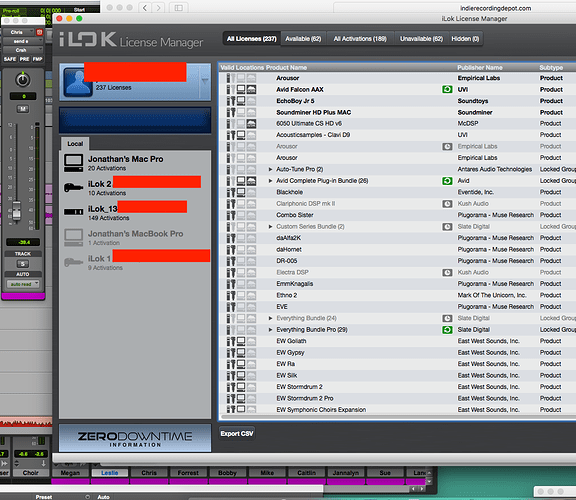 I’ve had waaaaaay too many times where the ilok manager has had some sort of issue the required restarting my computer in order for it to recognize that my ilok was plugged in. The moment a plugin requires me to restart my computer just to load a project, that plugin will never be used again. When PT switched over to cloud licensing, my quality of life improved dramatically. When I’m opening DAWs on different computers and different OSs constantly for testing, nothing makes me hate developers more than requring that I always switch my dongles around. requring that I always switch my dongles around. Right, no one has time to be playing around with their dongles. Wow. In 10 years of using those things, I’ve never had this happen once. Could this possibly be a PC thing? nothing makes me hate developers more than requring that I always switch my dongles around. Ah. Yup. I got sick of it. About three years in I started buying duplicate licenses. In 10 years of using those things, I’ve never had this happen once. Could this possibly be a PC thing? I have been using iLok for about 10 years also, on both Windows and Mac. I don’t recall ever really having any problems with them. I know a lot of people report that they do, so I don’t know if it’s a high defect rate and I just got lucky or what. Every person seems to have different problems children plugins on different machines. I almost never have licensing related crashes/reboots/inconviences. Haha… Anteres just crashed Pro Tools. Took my whole mixer down with it!!! Sitting here waiting for it to reboot. Yay for little IRD check-ins between crashes, prints, and reboots. If you wonder how I manage to find time to noodle around this site - most of the time I’m waiting for the computer do something it ought to do faster. Studio I worked at always had problems with dongles, running PT7 and PT8 then PT9 HD system, Mac with dongle licenses for some of the plugs. It was hell. Actually after that and my Cubase fritzed on a session as due to software iLok issue that they couldn’t fix without OS reload, I ditched both and haven’t looked back. Interesting. I’m planning on getting Slate Drums and Slate Everything Bundle soon. One less thing to plug in is OK in my book. I started with an eLicenser dongle, without too much trouble. I refuse to buy software that takes an iLok dongle. I have no more USB ports left, and I hear USB port hubs often cause trouble. Plus I don’t want to cough up $50 for the iLok dongle.